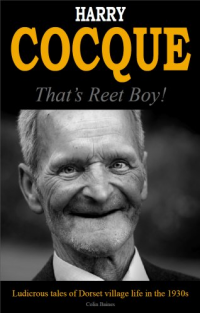 Colin Baines' first book - Harry Cocque: That's Reet Boy! Harry Cocque: That’s Reet Boy! Set in a peculiar Dorset village in the 1930s, this collection of short stories features characters ranging from the mildly eccentric to the downright ludicrous, and reminds us of the days of harvest festivals, farming accidents, thieving tinkers, steam fairs, barn dances, bizarre traditions, country weddings and heavy drinking. If any of these links don’t work, do please let me know!